Do you have students that can't seem to line up their contrasting statements on a Venn Diagram? Or students that need help understanding when contrasting you have to have the same topic for both contrasting statements? I know I do! 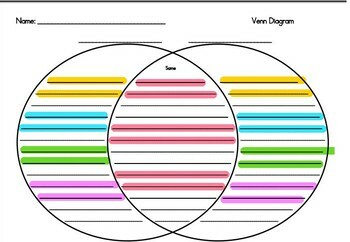 This color coded Venn Diagram has really helped my students see the relationship between contrasting statements when comparing two things.